SEOUL - Korean Air Lines’ labor unions called for the youngest daughter of its chairman, a sister of the infamous “nut rage” heiress, to step down from management after her alleged abusive behavior against an advertising agency official caused public outrage. 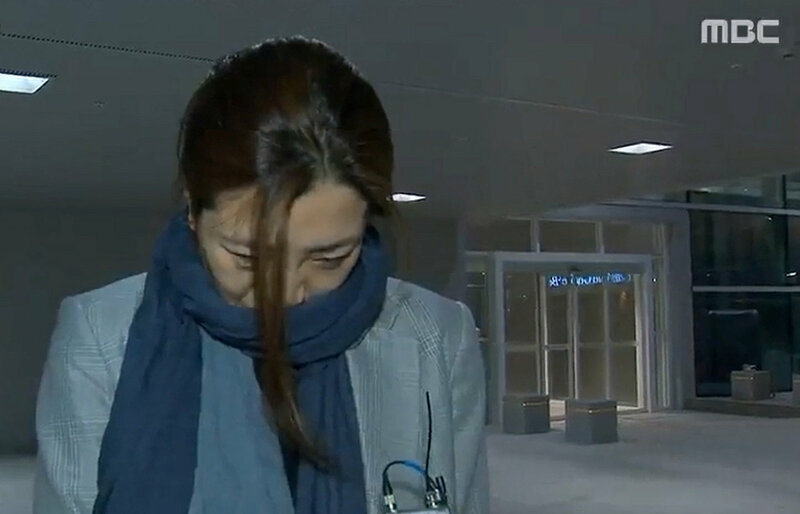 Cho Hyun-min, also known as Emily Cho and a senior vice president at Korean Air, apologized Thursday for what she called her “foolish behavior” after media reports said she threw water at the face of an advertising agency manager during a recent business meeting. Cho, speaking to TV channel MBC after she cut short her vacation overseas and arrived at Incheon International Airport on Sunday, denied she had thrown a cup of water at the manager’s face but said she had “pushed” it. Korean Air said Monday it was aware of the police probe. “After we observe the outcome of the investigation, the company plans to take appropriate measures,” the airline said in a statement. It is the latest controversy to engulf the owner family of South Korea’s largest airline group. Cho’s elder sister, Cho Hyun-ah, or Heather Cho, made headlines over a notorious “nut rage” incident in 2014 when she lost her temper over the way she was served macadamia nuts in first class. Her younger sister’s own tantrum has reignited public impatience with family-run conglomerates known as chaebol, over what some South Koreans see as unchecked bad behavior by the rich and powerful. Korean Air’s employee union and two pilots’ unions said in a joint statement Sunday that Cho Hyun-min’s actions harmed the reputation of Korean Air. They want her to step down and offer a sincere apology to all employees and the public. Also Sunday, Cho sent a mass email to Korean Air employees apologizing again for her actions. “As I was focusing on my passion for the work, I was unable to control my thoughtless words and deeds, through which I caused injury and disappointment for a lot of people,” Cho said. Korean Air confirmed that the email was sent to all Korean Air employees but declined to comment further. Dozens of petitions demanding that Cho be punished and “Korean” removed from the airline’s name were posted Monday on the presidential Blue House’s online petition page. One petition calling for the change to the company’s name had 44,374 signatures. “Around 20,000 Korean Air employees earnestly desire the continued use of our company name ‘Korean Air,’ ” the labor unions said in the statement.